In this first part of this blog post series we will develop a serverless function to identify Doppelgängers. We will be using Functions as a Service (FaaS), which is a framework for building serverless functions with Docker, TensorFlow for image recognition. Needless to say, we will be using Docker. Throw any url at it, and the function will tell you what it (thinks it) sees. How does it tell you what it thinks? It runs an image classification with Inception provided by Tensorflow. Inception was trained on ImageNet image database. But let's face it, tarsier and cats are the REAL Doppelgängers! Will we be able to split them apart? Let's start with a demo, and set up FaaS so we can test out the doppelgangers and see what the function makes of it. You can try this out in Play With Docker using the PWD button, how that works is by downloading a Docker Compose Stack file and all the images that are needed for FaaS and for the machine learning function (which we will write). type or paste in the Request body field any url pointing to an image and click INVOKE. Test this on the internet celebrity Hipster Cat. It got identified as a tabby cat with an 23% confidence level. It spotted a carton, a bow tie and maybe a welcome mat. A boston bull and a king penguin are spotted with high confidence level (16.9% and 17.9% respectively). A big thank you to Alex Ellis (@alexellisuk) for creating this community and his continuous support! Not familiar with what Serverless can do? Read my guide here. We will be using FaaS, which is a framework for building serverless functions with Docker. That means that FaaS can run on a Docker Swarm! sweet! We will use TensorFlow for image recognition. But first, let's define TensorFlow and see what it can do for us. In easier words, you write your code once, and it can execute on a CPU, GPU and now even on a TPU! Where can we run TensorFlow? 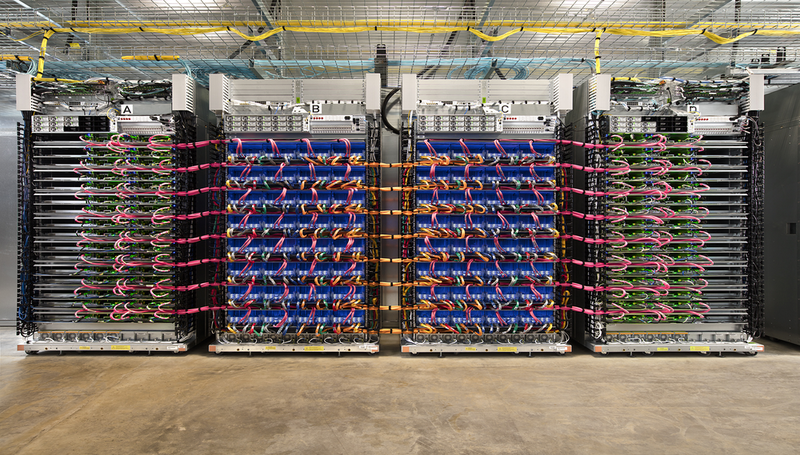 Imagine that you can run your code on your local machine, phone, raspberry pi and even on GCP - CLOUD TPU - introduced by Google here. What can we build with TensorFlow? Nothing better than to browse through Awesome TensorFlow to get some ideas. Before going further, check out FaaS and Star the project! You can start building your serverless function and have it featured in the community Alex built! Pull requests are welcome! Next we will dive deeper. We will be building a Serverless FaaS function for deep learning in 10 minutes. train the model so it recognize other things - maybe to distinguish Darth Vader from any father?? a slack integration that will classify images shared? Tell me which one you'd like to see next?